Managing a radiology practice is no easy task. You are responsible for managing your radiologists, making sure the facilities are in tip top shape, ensuring patients have a pleasant experience, and often also have to worry about medical coding and billing procedures as well. This is a lot for anyone to handle, and slip-ups in any area can easily lead to the downfall of the entire radiology practice and a diminished patient experience. Now more than ever, potential patients are turning to the Internet before deciding where they want to get their imaging done. They will be reading reviews about your very practice before ever walking into your doors, so of course you want to make sure what they are reading is positive. Here are our top four tips for managing the online reputation of your radiology practice. Managing what others say about your radiology practice online may seem impossible to manufacture. However, you do have some power in making sure feedback is positive. It all starts with making the patient or visitor’s interactions with your radiology practice as positive as possible. This starts with having staff that can be pleasant and knowledgeable on the phone, in-person, and during any follow-ups. Make sure your staff is trained in providing optimal customer service and that they are also being attentive to the needs and requests of patients. If patients and visitors feel listened to and respected, that will be reflected online. In addition, a positive in-office experience means ensuring your facilities are clean, up-to-date, and desirable for visitors. While it may be easier to ignore, it is vital that you are paying attention to what people are saying about your radiology practice online. Make note of all of the popular review sites and social media platforms your patients may be using to discuss your radiologists and practice. Spend time each month compiling all of the reviews to take note of if there are any trends or glaring problems people are talking about. Use these reviews as insight as to how to improve your practice. While there will always be angry patients on rare occasions, trends of what patients are saying are much more reliable and will make a huge difference when addressed. While making changes based on reviews are important, it is also important to reply to comments about your radiology practice online. This shows patients, and potential business, that your practice is in touch and cares about your reputation. Thank patients for leaving positive comments, and address negative comments head on. It is important to make an effort to remedy concerns to show potential business that you truly care about the patient’s experience. This will ultimately boost your business’ reputation online. You have enough to worry about when managing a radiology practice. 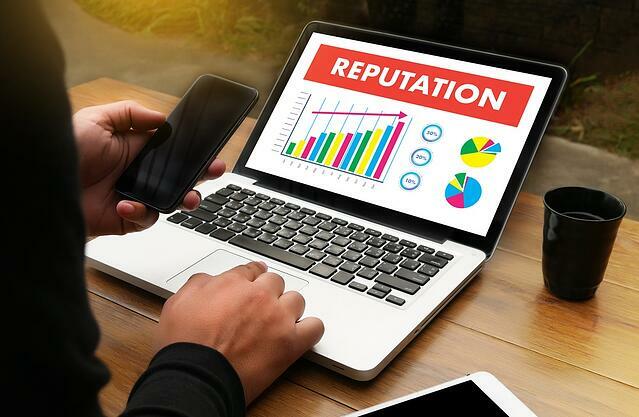 This often leaves online reputation management on the backburner, which we have seen seriously hinder businesses. HIS has extensive experience managing the online reputation for radiology practices. Our experience firsthand in radiology practice management means we understand how radiology practices function. We are committed to making sure current and potential business sees your radiology practice in the best possible light in the online space. When a professional is managing your online presence, you can focus on better serving your patients with the services they need. Partnering with a professional is the best thing you can do to secure a positive online reputation for your radiology practice. If you are interested in online reputation management for your radiology practice, or any of our radiology services, do not hesitate to contact the professionals at HIS today. We look forward to hearing from you and helping you make your radiology practice run smoother and more profitably.